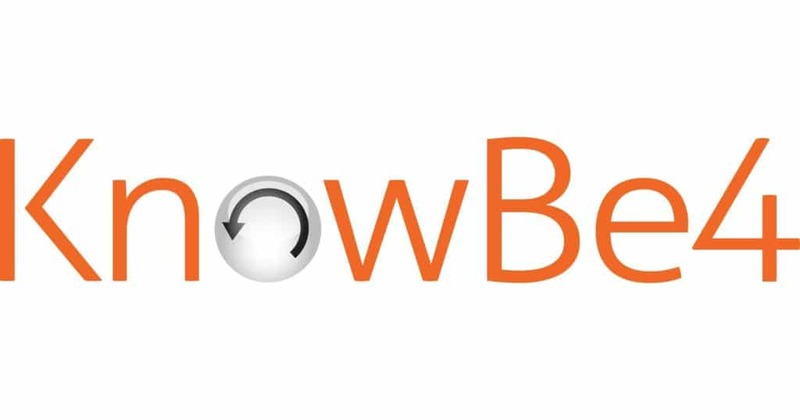 As partners of Gartner-leading security awareness firm KnowBe4, we are pleased to be able to offer a number of free tools that will help you manage the IT security problems of social engineering, spear-phishing and ransomware attacks. These tools can be used to test both your users and your network against common attack vectors, related potential vulnerabilities and give you an overview of your current security's effectiveness. Find out today and get excellent ammo for more IT security budget! Are any of your organisation's email addresses exposed on the internet, making you a target for phishing attacks? This tool allows you to see which of your corporate email addresses have been exposed online, making it easy for cyber criminals to launch social engineering, spear-phishing and ransomware attacks on your organisation. The more email addresses exposed, the higher your risk and the more likely that criminals will leverage this information against you. Exposed email addresses can make it easy for cyber criminals to launch complex social engineering and spear-phishing attacks against your organisation. Are you aware that one of the first things hackers will try is to spoof your CEO's email address? If they are able to commit CEO Fraud, it will be easy for them to penetrate your network and gain access to your sensitive data. This free test allows you to find out if your email server is configured incorrectly, leaving your domain open to spoofed attacks. New strains of ransomware are released upon unsuspecting businesses every day, costing millions in damages every year. Is your network effective in blocking ransomware when employees fall for social engineering and phishing attacks? This free tool gives you a quick look at your existing network protection and how effective it would be against 10 simulated ransomware infection scenarios. Did you know that over 80% of hacking-related breaches used either stolen and/or weak passwords? How many of your users are using 'password123' to secure your organisation's sensitive data? Cyber criminals understand that employees are the weakest link in network security, often using weak passwords and falling for phishing and social engineering attacks. This free tool can be downloaded and run on your Active Directory server to report on passwords that are weak, duplicated, empty, set to never expire, and more. Email is still the number one attack vector. Do you know if hackers can get through your mail filters? This Mailserver Assessment tool gives you a quick insight into how your mailserver handles test messages that contain a variety of message types - including attachments with password-protected, macro zipped, .exe files, spoofed domains and more. Over 40 different test messages are sent to test the effectiveness of your mail filtering rules, exposing potential vulnerabilities and validating that your current filtering rules work as expected. All test messages are simulated 100% non-malicious. Are your employees using passwords that are known to cyber criminals? Recent studies have shown that 25% of staff are using the same password for all logins. What if that password was available on the dark web, compiled as part of a data breach list or spambot? Cyber criminals compile any data they can from data breaches, usually in the form of lists containing email addresses and passwords. Often, they will leverage Credential Stuffing to test these email/password combinations on as many services as possible, in order to breach them too. Should they call the helpdesk, or forward it? Do they know how to forward it while preserving all headers? Should they just delete it, or forfeit the chance of early warning? This Phish Alert button gives your users a quick and easy way to report suspect emails to your security team - forwarding the email as an attachment with headers intact to you, while simultaneously deleting the mail from the users inbox. The Phish Alert button is an easy and highly effective way to improve the security culture within your organisation. Wouldn't it be great to roll back time every time one of your end users clicked on a phishing link? Well now you can! Second Chance is an innovative new tool that gives users the ability to make a smarter security decisions before it's too late - by giving them a way to back out of that click. This free tool intelligently analyses links within emails to detect if it URL is shortened or rewritten. When a user clicks one of these links, Second Chance will display both the original link address and the location that the link will really take them to, and asks them if they are really sure they want to proceed. Are there dangerous look-alike domains on the internet that could be used against you? Our new Domain Doppelganger tool makes it easy for you to identify your potential "evil domain twins" before they can be used to hurt your business, by providing you with a report on any websites out there that may be attempting to impersonate your primary domain. With your look-alike results you can even generate an online assessment for your users to test their ability to recognise which domains are safe and belong to your organisation, and which domains are potentially malicious doppelgangers. Tech Guard and KnowBe4 work together to help Irish businesses reduce their risk of a cyber attack or data breach, by training users how to identify and correctly deal with phishing emails - turning employees from your weakest security link to a human firewall. For more information on Tech Guard's online security awareness training and ongoing phishing service or to avail of a demo, please see www.techguard.ie/security-awareness-training or get in touch today!